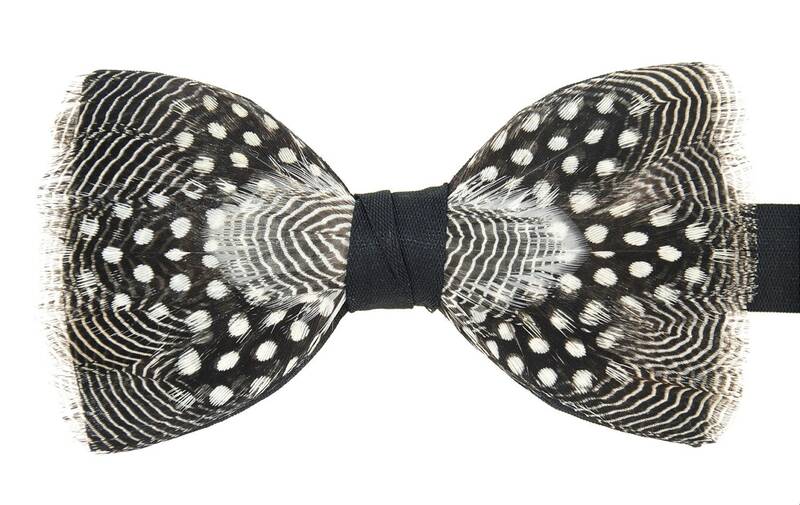 NIGHT SKY Feather bow tie. Drawing the eye to its endless, timeless, beauty, a clear night sky is always enchanting and this Night Sky is no different. 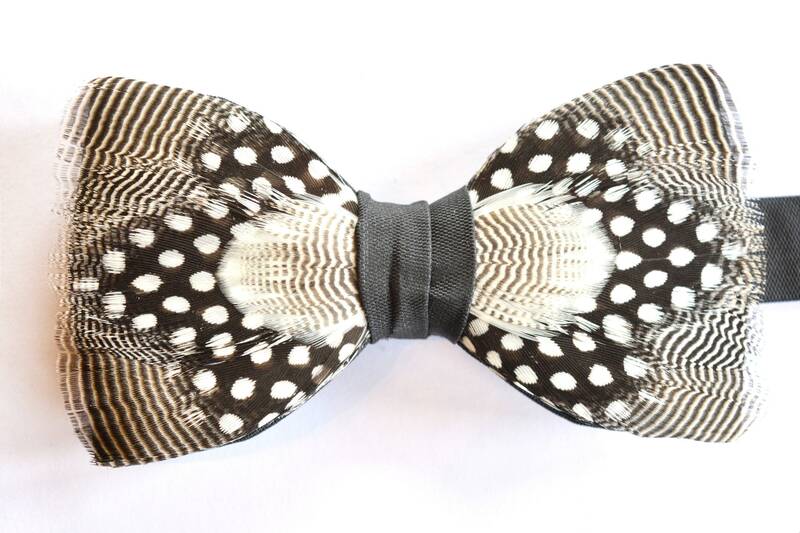 With an almost optical illusion like appearance, this inspired duck and guinea fowl feather bow tie, enhanced with with rare pure white pheasant feathers, was designed to make a lasting impact. Set on a quality 100% black silk double bow tie, this Night Sky design, by Plumassier artist Tracey Telford, conveys messages of creativity, luck, love, constance, protection and devotion. Being individually hand made, it can also be made available on quality satin. 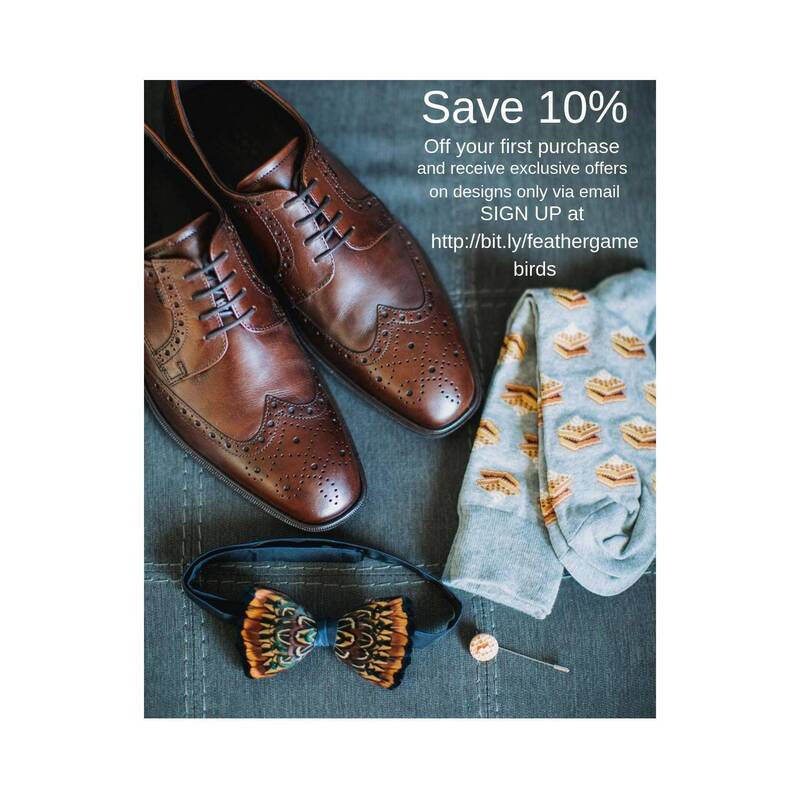 A range of others base colours can also be selected, to align with your preferred design aesthetic. 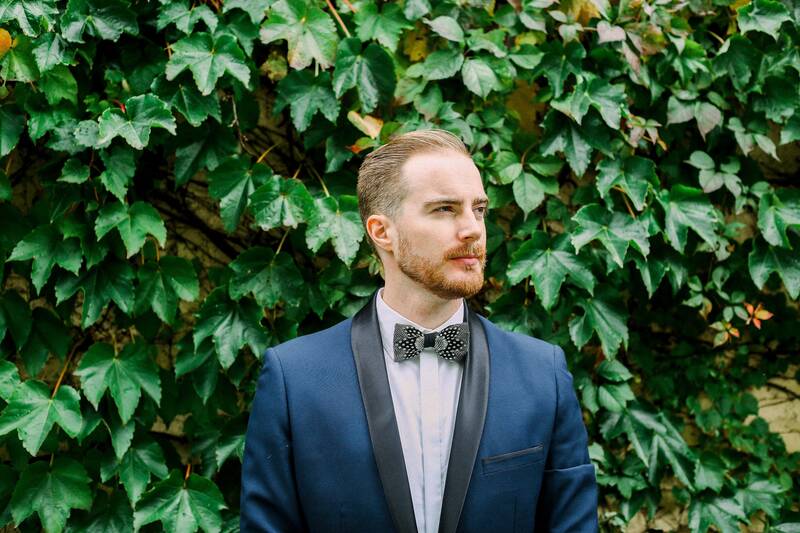 This is a review received on 15th January 2019 from Greg Jarvin in the U.S. who provided the fabulous photograph of himself wearing the Night Sky above at his wedding. The tie looked fantastic and truly a show stopper. Absolutely love this! My fiance is going to wear this at our wedding. We love the quality.